Well over a year ago, I was contacted by an elderly male who claimed he was a retired surgeon from a major U.S. military branch. He had apparently been having someone in the Boulder area keep tabs on when I would be in town to shoot episodes of a series I was co-hosting. I was approached by his friend and told that a retired military surgeon wanted to talk to me about his lifelong involvement in a number of SSP related programs. Intuitively I felt his friend was being truthful so I arranged to make a long drive to a very remote location to meet this potential witness. The number of security measures was more than a bit of overkill. I keep an eye out for situations where ‘theatre’ is used to affect my decision making. This is a common counter intelligence tactic and is just one among a handful of red flags I watch out for. These signs seemed to be coming from a legitimate sense of anxiety from both parties involved. When we were first introduced, an elderly gentleman came walking out of an old trailer that looked like it had been an office building at various construction sites. He came down the short wooden flight of stairs slowly as his head seemed to be on a swivel checking the partier for anything suspicious. He introduced himself by his real name and asked that I refer to him as ‘BONES’. I asked him if it was in reference to the Star-Trek character. He stated that it was and that it would also be an alias that would get attention in the small circles of old-timers who were former high-level insiders. He told me that he had worked for a specific branch of the U.S. military for well over 30 years. He was a surgeon who had worked in various programs that were very similar to the MILAB programs from my youth. He stated that he was also involved in several ’20 and Backs’ over a 20-year period out of his military service. I had been told to keep a few of these program names confidential for a couple of reasons. I was told it was for operational security (Sources & Methods) and would cause problems for operatives in the field. The actual name coming out would give the programs the needed info to focus on a small group for questioning about the security breach. The second reason was to be able to use a few descriptive terms that I was told to create as a way to sniff out counter-intelligence and personality types seeking attention through mimicking the information. Some of the people coming forward with imaginative stories based on my testimony can be quite convincing and more than one respected researcher has fallen victim to these fan-fiction stories. A few of my trusted colleagues and I were clued in on this counter-intelligence method of protecting assets and sniffing out LARPers. It made it infinitely easier to weed them out when they approached us and stated they were in the ICC, Dark Fleet or Intergalactic League of Nations. I nurtured a friendship with ‘BONES’ and eventually earned his trust. It was difficult not talking publicly about all of the new info he was sharing with me about the ‘DARK FLEET.’ I was eventually able to talk him into meeting with the SSP Alliance to pass on a bunch of digitized files that he and others had been able to steal from this program. They had very carefully collected this information for decades. I arranged a meeting between BONES and Sigmund in a remote location in the mountains of Colorado. I was required to be at that meeting to make the introductions. When Sigmund arrived at that location with his small team, I was a bit surprised to see them arrive in pickups and SUV’s. I made the introduction and then we quickly got into the back of an SUV that had been lightly armored. Sigmund wasted no time laying into Bones and asking him about his background. Sigmund was not disappointed by the responses. Bones then reached into his coat and pulled out two hard drives. Bones handed them directly to Sigmund and told him that everything the SSP Alliance ever wanted to know about ‘DARK FLEET’ could be found on these drives. He also stated that there are multiple video files of him and others from this program giving their testimony and deathbed confessions. Bones reminded Sigmund of the danger his small group was putting itself in. Sigmund thanked him and provided him with a way to contact the SSP Alliance directly. I sensed that after being in a similar situation and being rescued by the SSP Alliance when he was in similar peril, he seemed to genuinely identify with Bones. The meeting ended as quickly as it began and we all headed in our separate directions. Over the following weeks and months, many other unrelated incidents occurred, and I was not in as close communications with BONES as I had been. I had put the situation with BONES in the back of my head and was focused on other things when Sigmund contacted me. Sigmund wanted to meet Gonzales and me for an important briefing in the early morning hours of November, 17th. Making a long story shorter, Gonzales and I ended up meeting Sigmund and many other SSP Alliance personnel at LOC Alpha Base, in a conference room that was set up for a video presentation on one of the large panel smart glass pads that lowered from the ceiling. We sat there as Sigmund talked about the new intelligence they had received about the Dark Fleet. He went on to say that they are gathering information to release through me at a future date. I was told that after this information was compiled it would then be given to me to disclose in a way that is beneficial to the SSP Alliance. I was also informed that at about the same time that I am cleared to drop the Dark Fleet information that I should also be cleared to release the information from my meeting at the LOC Alpha, Bravo & Charley and the tour of ancient alien ruins within the Moon itself. 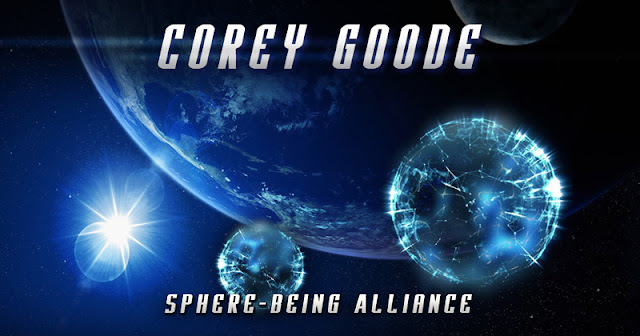 I was told that the SSP Alliance is extremely happy with the success of ‘Above Majestic, The Implications of a Secret Space Program’ and that they hoped future movies could be used as a vehicle of disclosure. The SSP Alliance plan is unchanged, they plan to make a partial disclosure impossible and find a way to Full Disclosure thus delivering the entire ‘SSP Infrastructure’ to all of humanity on equal terms. I look forward to bringing that new and exciting information to you as soon as it is cleared. I am told that the new info on the Dark Fleet is so extensive that it will require a series of reports to disseminate it properly. I have also had a number of Anshar and Gonzales experiences that were noteworthy and had a significant impact on my journey that I hope to share soon.